The utilization of Chlorella for the dual goals of biofuel production and wastewater nutrient removal is highly attractive. Moreover, this technology combined with flue gas (rich in CO2) cleaning is considered to be an effective way of improving biofuel production. However, the sterilization of wastewater is an energy-consuming step. This study aimed to comprehensively evaluate a cost-effective method of culturing Chlorella pyrenoidosa in unsterilized piggery wastewater for biofuel production by sparging air or simulated flue gas, including algal biomass production, lipid production, nutrient removal rate and the mutual effects between algae and other microbes. The average biomass productivity of C. pyrenoidosa reached 0.11 g L−1 day−1/0.15 g L−1 day−1 and the average lipid productivity reached 19.3 mg L−1 day−1/30.0 mg L−1 day−1 when sparging air or simulated flue gas, respectively. This method achieved fairish nutrient removal efficiency with respect to chemical oxygen demand (43.9%/55.1% when sparging air and simulated flue gas, respectively), ammonia (98.7%/100% when sparging air and simulated flue gas, respectively), total nitrogen (38.6%/51.9% when sparging air or simulated flue gas, respectively) and total phosphorus (42.8%/60.5% when sparging air or simulated flue gas, respectively). 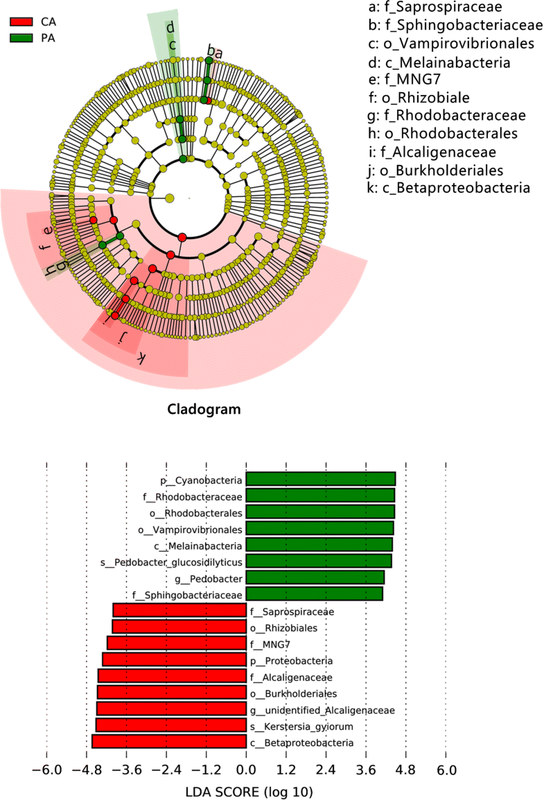 Culturing C. pyrenoidosa strongly influenced the microbial community in piggery wastewater. In particular, culturing C. pyrenoidosa enriched the abundance of the obligate parasite Vampirovibrionales, which can result in the death of Chlorella. The study provided a comprehensive evaluation of culturing C. pyrenoidosa in unsterilized piggery wastewater for biofuel production. The results indicated that this cost-effective method is feasible but has considerable room for improving. More importantly, this study elucidated the mutual effects between algae and other microbes. In particular, a detrimental effect of the obligate parasite Vampirovibrionales on algal biomass and lipid production was found. The online version of this article ( https://doi.org/10.1186/s13068-019-1407-x) contains supplementary material, which is available to authorized users. In the future, humans will face increasingly urgent challenges from the demand for energy. Unfortunately, fossil fuels are not sustainable energy resources. Therefore, the effective solution is to exploit renewable energy resources. At present, in view of their faster growth than other energy crops, microalgae are an ideal alternative to produce biodiesel [1, 2]. The growth of microalgae requires only sunlight, water, CO2, and nutrients. It is well known that stock-farming wastewater, municipal wastewater and some industrial wastewaters are rich in nutrients, especially nitrogen (N) and phosphorus (P) . Consequently, the utilization of microalgae for the dual goals of biomass production and wastewater purification is an eco-friendly industry with excellent prospects [2, 4, 5]. The utilization efficiency of CO2 in microalgae can reach 20% . Extra CO2 supply is believed to be a promising approach for scaled-up algal biomass production . To date, the eco-friendly biotechnology of using flue gas to cultivate microalgae has also been widely explored [8, 9]. Chlorella with high carbohydrate or lipid content is an ideal material for biofuel production [10, 11]. Moreover, due to its high tolerance to soluble organic compounds, Chlorella is commonly used in wastewater treatment technology [12, 13]. In recent decades, the swine industry has developed rapidly in China, and the number of live swine has been ranked the highest in the world, resulting in serious environmental problems . Piggery/swine wastewater hosts a complex community of microorganisms . Bacterial infection represses the growth of some algae and simultaneously affects the algal cell density and lipid content . Moreover, some bacteria can cause microalgae death by releasing soluble cellulose enzymes . However, the detrimental effects of bacteria on Chlorella are unknown. To avoid such unknown detrimental effects, wastewater should be pretreated by sterilizing; however, this is a costly and energy-intensive process, which leads to bottlenecks in scaling up the cultivation of microalgae in piggery wastewaters [18, 19]. To date, there have been a number of studies regarding the technology of culturing Chlorella with sterilized piggery/swine wastewater [18, 19, 20, 21, 22, 23, 24, 25, 26, 27, 28, 29, 30, 31]. However, little work has been reported on culturing Chlorella with unsterilized piggery/swine wastewater for biofuel production . Therefore, the feasibility of culturing Chlorella with unsterilized piggery wastewater for biofuel production needs to be further demonstrated. More importantly, the relationship between bacteria and Chlorella needs to be clarified urgently. 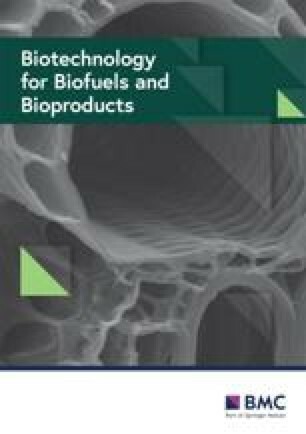 Consequently, this study aimed to comprehensively evaluate a cost-effective way of culturing Chlorella with unsterilized piggery wastewater for biofuel production under the condition of sparging air or simulated flue gas, including algal biomass production, lipid production and nutrient removal rate. More importantly, the mutual effects between algae and other microbes were also studied. According to the concentration range of nutrients reported in the previous literatures [18, 19, 20, 21, 22, 23, 24, 25, 26, 27, 28, 29, 30, 31], the supernatant of piggery wastewater was diluted (1:4) with sterile water before used for culturing microalgae. The concentrations of COD, ammonium, total nitrogen, and total phosphorus in the diluted piggery wastewater were 327.3 mg L−1, 11.6 mg L−1, 33.7 mg L−1 and 7.8 mg L−1, respectively. After 10 days, the whole culturing process was finished. The growth potential of C. pyrenoidosa sparged with simulated flue gas was higher than that of C. pyrenoidosa sparged with air (Fig. 1a). The biomass concentration was 0.88/1.31 g L−1, and the specific growth rate (μ) was 0.713/0.821 day−1 when sparging air or simulated flue gas, respectively. Figure 1b shows the biomass productivity of C. pyrenoidosa in unsterilized piggery wastewater when sparging air or simulated flue gas. The average biomass productivity of C. pyrenoidosa sparged with simulated flue gas (0.15 g L−1 day−1) was higher than that of C. pyrenoidosa sparged with air (0.11 g L−1 day−1). Although the lipid content had no significant changes (Fig. 1c), the average lipid productivity when sparging simulated flue gas (30.0 mg L−1 day−1) was much higher than that under the condition of sparging air (19.3 mg L−1 day−1) due to the higher algal biomass productivity (Fig. 1d). Sparging flue gas into culture medium is an eco-effective way to increase the algal biomass, lipid content and production [8, 9]. Corresponding to the reported results, both algal biomass and lipid production were increased by sparging flue gas. Extra CO2 supply can increase the lipid content of Chlorella, possibly because an elevated CO2 concentration pushes cells to channel photosynthetic carbon precursors into fatty acid synthesis pathways, resulting in an increase in overall triacylglycerol generation . However, the promoting effects of simulated flue gas on algal lipid content were weak in this study. The biomass concentration, biomass productivity and lipid productivity of Chlorella in piggery wastewater, which varied in different studies, depended on the algal strain, nutrient components/concentration, ratio of C/N/P, pretreatment method, culture condition, etc. [18, 19, 20, 21, 22, 23, 24, 25, 26, 27, 28, 29, 30, 31, 32]. Therefore, it is insufficient to evaluate a technology just based on biomass concentration, biomass productivity and lipid productivity. In our study, these parameters had considerable room for improving by optimizing the nutrient components/concentration, nutrient ratio (C/N/P), illumination intensity, aeration mode and so on. Sterilization is indeed a costly and energy-intensive process, which leads to bottlenecks in scaling up the cultivation of microalgae in piggery wastewaters [18, 19]. Consequently, the method of culturing Chlorella with unsterilized piggery wastewater for biofuel production should be regarded as a sustainable and cost-effective technology. The nutrient removal efficiencies of culturing C. pyrenoidosa in unsterilized piggery wastewater when sparging air or simulated flue gas were studied (Fig. 2). The concentration of COD experienced an obvious decrease when culturing C. pyrenoidosa in this study. The removal rate of COD was 43.9%/55.1% when sparging air or simulated flue gas, respectively. When Chlorella was cultured in piggery/swine wastewater, the COD removal rate varied in different studies [18, 19, 20, 21, 22, 23, 24, 25, 26, 27, 28, 29, 30, 31, 32, 34]. 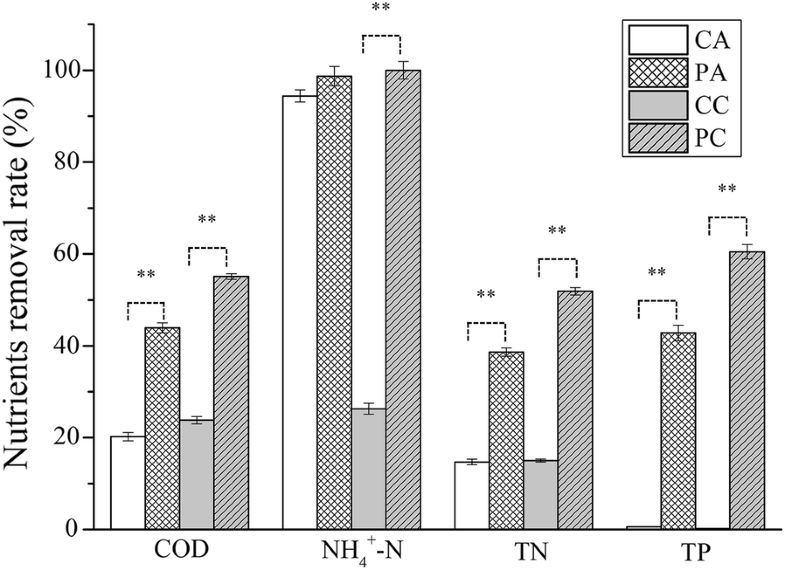 A COD removal rate achieved 99% by reducing ammonia concentration and optimizing C/N ratio (25:1) with culturing C. vulgaris after 7-day cultivation in sterilized piggery wastewater, which was the maximum in the current literatures . In this study, the ammonium removal rate of C. pyrenoidosa was 98.7% when sparging air and 100% when sparging simulated flue gas, while it fluctuated between 70 and 100% in the reported results [18, 19, 20, 21, 22, 23, 24, 25, 26, 27, 28, 29, 30, 31, 32, 34]. The high removal efficiency was due to ammonium being the preferred nitrogen source for most microalgae . In addition, even when C. pyrenoidosa was not cultured, the decrease in ammonium concentration was also obvious when sparging air. This should be attributed to the ammoxidation—a biochemical process needing oxygen. Sparging air promoted this biochemical process, resulting in a significant reduction in ammonium. The highest removal rate of TN was also reported by Zheng et al. . The highest removal rate of TP in sterilized piggery wastewater was 98.17% when culturing C. zofingiensis . In this study, the TN removal rates of C. pyrenoidosa were 38.6% when sparging air and 51.9% when sparging simulated flue gas, while the removal rates of TP were 42.8% when sparging air and 60.5% when sparging simulated flue gas. 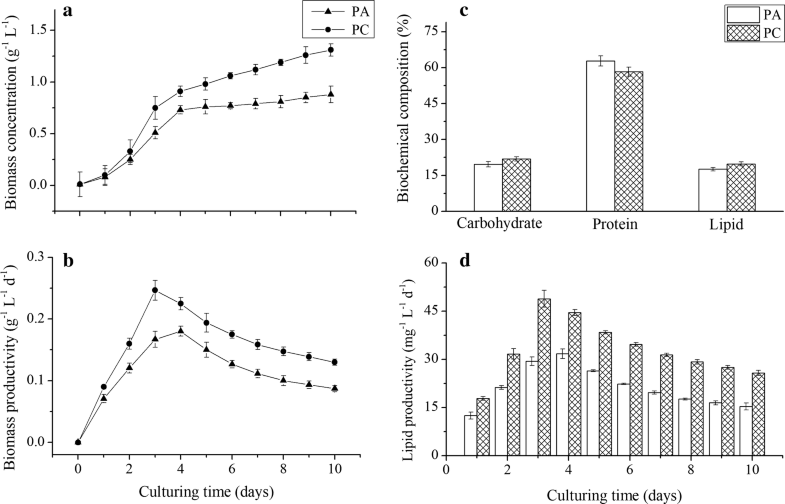 Figure 3 shows the effects of culturing C. pyrenoidosa on bacterial abundance in unsterilized piggery wastewater. When sparging air, culturing C. pyrenoidosa suppressed the bacterial abundance significantly: the number of 16S rRNA gene copies decreased from 1.3 × 108 copies mL−1 (without culturing C. pyrenoidosa) to 3.2 × 105 copies mL−1 (culturing C. pyrenoidosa). However, when sparging simulated flue gas, culturing C. pyrenoidosa had no effect on bacterial abundance. The analysis of the bacterial community provided deep insights into the mutual effects between C. pyrenoidosa and other microbes. The high-throughput sequencing of 16S rRNA V4 region amplicons yielded 1,073,927 raw reads. After filtering low-quality reads and trimming the adapters, barcodes and primers, there were 1,012,135 valid reads (average length 253 bp). A total of 3185 operational taxonomic units (OTUs) (97% sequence similarity) were clustered. The bacterial abundance was significantly suppressed by culturing C. pyrenoidosa under sparging air (Fig. 3), whereas the bacterial diversity was increased (Fig. 4). Under sparging simulated flue gas, culturing C. pyrenoidosa decreased the microbial diversity (Fig. 4). LEfSe clearly indicated the effects of culturing C. pyrenoidosa on the bacteria (Figs. 5 and 6). Dogs et al. found that Rhodobacteraceae was the predominant family constituting 23% of the epibacterial community of the marine brown algae Fucus spiralis and showed physiological adaptation to an epiphytic lifestyle. In this study, Rhodobacteraceae with a relative abundance of 6.8% was also the dominant family in samples culturing C. pyrenoidosa when sparging air. It has been reported that the family Rhodobacteraceae is deeply involved in sulfur and carbon biogeochemical cycling . Vampirovibrionales, commonly found in the human gut and groundwater, belongs to a new phylum related to Cyanobacteria. The members of Vampirovibrionales are obligate parasites that attach to the cell wall of green alga of Chlorella , resulting in the death of Chlorella. In this study, Vampirovibrionales were the major bacteria, constituting 0.7–6.7% of the bacterial community in the detected samples. It is noteworthy that the Vampirovibrionales were significantly enriched by culturing C. pyrenoidosa. Under the condition of sparging air, the abundance of Vampirovibrionales when culturing C. pyrenoidosa was 7.6 times as high as that without culturing C. pyrenoidosa. Under the condition of sparging simulated flue gas, the abundance of Vampirovibrionales with culturing C. pyrenoidosa was 2.7 times as high as that without culturing C. pyrenoidosa. 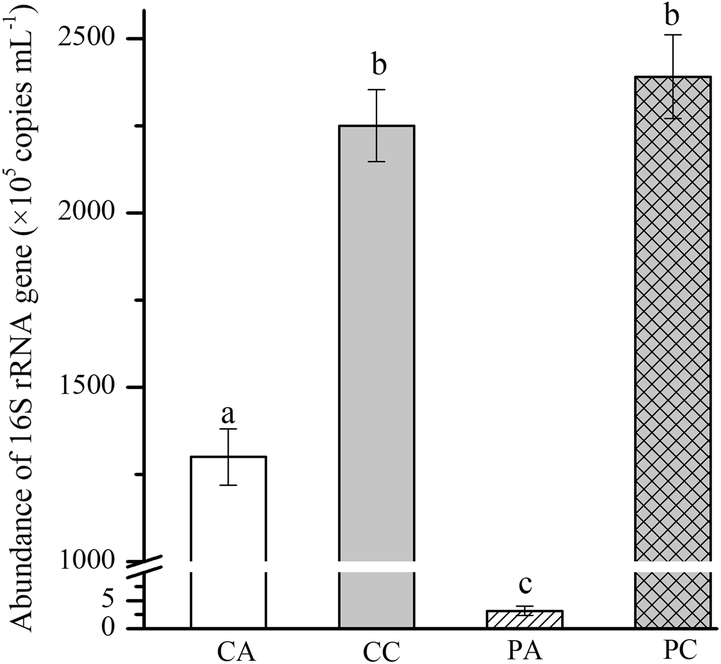 The results indicated that C. pyrenoidosa suffered from infection by Vampirovibrionales, and this greatly impeded the increase in algal biomass. Pedobacter glucosidilyticus was also enriched by culturing C. pyrenoidosa, whereas Kerstersia gyiorum, MNG7 and Saprospiraceae were suppressed. K. gyiorum is a pathogenic member of the family Alcaligenaceae and is commonly isolated from leg wounds, chronic ear infections, human feces, sputum, and even bronchoalveolar lavage fluids and the urinary tract [39, 40, 41]. The suppression of pathogenic microbes by C. pyrenoidosa might contribute to a decrease in the risk to public health. The Saprospiraceae, a family within the order Sphingobacteriales, have a demonstrated ability for the hydrolysis and utilization of some complex organic sources . Under the condition of sparging simulated flue gas (Fig. 5), Comamonadaceae, Draconibacteriaceae, Sediminibacterium, Sterolibacterium, and K. gyiorum were significantly suppressed by C. pyrenoidosa. However, the bacteria of Alphaproteobacteria, Melainabacteria, Vibrio, and Thermomonas fusca were enriched by culturing C. pyrenoidosa. Sterolibacterium, commonly found in anoxic environments, can reduce nitrate to dinitrogen . Clearly, simulated flue gas and culturing C. pyrenoidosa both played key roles in structuring the bacterial community. In fact, there are other non-negligible factors that might influence the bacterial community: (1) Algae can excrete a variety of organic compounds, such as carbohydrates, lipopolysaccharides, organohalogens, amino acids and peptides, which are available to many bacteria . In this study, some organic matter originating from C. pyrenoidosa could be utilized by specific bacteria during cultivation. However, some studies have indicated that some organic matter of Chlorella has antibacterial activity against specific bacteria . Therefore, it is probable that some bacteria in piggery wastewater were inhibited by culturing C. pyrenoidosa. (2) The growth of C. pyrenoidosa had little effect on pH when sparging simulated flue gas in this study, but the pH (> 8.0) was increased by C. pyrenoidosa when sparging air (Additional file 1: Fig. S1). When phytoplankton grows in excessive abundance, photosynthesis by algae during daylight releases oxygen and removes carbon dioxide from the water, resulting in an increase in pH [46, 47]. Consequently, pH influences the bacterial community. (3) Nutrient competition can also influence the relationship between microalgae and bacteria [48, 49]. In this study, the concentrations of ammonium, TN and TP decreased due to culturing C. pyrenoidosa, which might also lead to changes in the bacterial community. The most noteworthy result was that the obligate parasites Vampirovibrionales were significantly enriched by culturing C. pyrenoidosa. The bacterium has very specific requirements for growth—it seems to grow only by attachment to the cell wall of intact Chlorella cells and consuming their cytoplasmic contents [38, 50]. Although it needs to be further clarified whether the obligate parasites Vampirovibrionales are commonly found in other wastewaters, this result emphasizes the need to adequately consider these obligate parasites when using unsterilized wastewater for culturing Chlorella. In other words, the obligate parasite Vampirovibrionales in this study was a restrictive factor in algal growth, lipid accumulation and nutrient removal. More importantly, this result indicates that the selection of algal strain must be carefully performed. In this study, we comprehensively evaluated a cost-effective method of using unsterilized piggery wastewater for biofuel production by culturing Chlorella. This method achieved moderate algal biomass productivity, lipid productivity and fairish nutrient removal efficiency. Moreover, our results indicated that culturing C. pyrenoidosa strongly influenced the microbial community in piggery wastewater. In particular, a detrimental effect of the obligate parasite Vampirovibrionales on algal biomass and lipid production was found. The piggery wastewater used in this study was from a local pig farm, was directly discharged and was stored in a cement pond. The collected wastewater was allowed to settle for 1 day to precipitate. The supernatant was diluted (1:4) with sterile water before being used for culturing microalgae. The concentrations of COD, ammonium, total nitrogen, and total phosphorus in the piggery wastewater were determined following the protocols described previously , and the parameters of the original piggery wastewater are shown in Additional file 2: Table S1. C. pyrenoidosa, a species of Chlorella, can tolerate a high concentration of soluble organic compounds and effectively utilize a variety of organic carbon sources in wastewater [52, 53]. Therefore, C. pyrenoidosa was selected as a target strain. The green algae C. pyrenoidosa was obtained from the Institute of Hydrobiology, Chinese Academy of Sciences (FACHB-10), and grown in BBM medium containing the following composition (per liter): 0.25 g NaNO3, 0.075 g K2HPO4, 0.075 g MgSO4·7H2O, 0.025 g CaCl2·2H2O, 0.175 g KH2PO4, 0.025 g NaCl, 0.75 mg Na2-EDTA, 0.097 mg FeCl3·6H2O, 1 mg vitamin B1, 0.25 μg biotin, 0.15 μg vitamin B12, 0.041 mg MnCl2·4H2O, 0.005 mg ZnCl2·7H2O, 0.004 mg Na2MoO4·2H2O and 0.002 mg CoCl2·6H2O. The algal cells were axenically grown at 28 ± 0.5 °C under a 16-/8-h light/dark cycle with exposure to 45 μE m−2 s−1 provided by cool-white fluorescent lights. The cool-white fluorescent lights were 0.2 m above the culture flask. After adjusting the pH to 7.0, 500 mL of the pretreated piggery wastewater was placed in a 2000-mL conical flask. C. pyrenoidosa in the linear growth phase was used as the inoculum. The initial inoculation density was 2 × 106 cells mL−1. The culture medium without mechanical oscillation was sparged with sterilized air or simulated flue gas (CO2 20%, N2 80%) at a flow rate of 0.5 L min−1. The experiments were divided into four groups: sparging air (CA), sparging air with culturing C. pyrenoidosa (PA), sparging simulated flue gas (CC) and sparging CO2 with culturing C. pyrenoidosa (PC). All experiments were conducted in triplicate. where dwi and dwo are dry biomass (g L−1) at time ti and t0 (initial time), respectively. The biochemical composition of algae was determined by Fourier transform infrared (FTIR) spectrometry. The FTIR analysis was performed as previously described by Zhang et al. . Briefly, cell pellets centrifuged at 8000g for 10 min were washed twice with deionized water. Deionized water was used to resuspend the cell pellets at a concentration of approximately 1.0 mg mL−1 (dry weight). A vacuum drying oven was used to dry a total of 200-μL suspension, which was dropped on a KRS-5 window (30 × 5 mm) at 40 °C. The transmittance spectra were collected between 400 and 4000 cm −1 at a resolution of 4 cm−1 with 32 scans on an FTIR spectrometer (NEXUS 870, Thermo Nicolet, USA). The data were processed with OMNIC 6.0 software. The spectrum baseline was corrected by a rubber-band method using 64 baseline points with the exclusion of CO2 bands. where dwi and dwo are the dry biomass (g L−1) at times ti and t0 (initial time), respectively. CL is the lipid content (%). where Co and Ci are defined as the mean nutrient concentrations at the initial time t0 and time ti, respectively. After the C. pyrenoidosa grew for 10 days, the medium was oscillated at a speed of 100 r min−1, and then 0.05-L samples from each flask were filtered with 0.22-μm filter membranes using a filtration apparatus. The obtained membranes were stored at − 80 °C until DNA extraction. Before DNA extraction, all the filter membranes were cut into pieces with sterile scissors. DNA extraction was performed using an E.Z.N.A. Water DNA Kit (OMEGA Bio-Tek Inc., USA) according to the manufacturer’s instructions. The extracted DNA was stored in a freezer at − 80 °C prior to downstream analysis. The 16S rRNA amplicons were amplified by primer pair 515F/806R (515F: 5′-NNNNNNNNGTGTGCCAGCMGCCGCGGTAA-3′, 806R: 5′-GGACTACHVGGGTWTCTAAT-3′) targeting the V4 hypervariable region of 16S rRNA genes . The high-throughput sequencing of 16S rRNA amplicons was performed on the Illumina MiSeq platform at Novogene Bioinformatics Company (Beijing, China). Paired-end reads were assigned based on the unique barcodes of samples, which were subsequently truncated by cutting off the barcode and primer sequence. The paired-end reads were merged using FLASH (V1.2.7) into raw tags. Quality filtering on the raw tags was performed to obtain high-quality clean tags according to QIIME (V1.7.0). The tags were compared with the reference database (Gold database) using a UCHIME algorithm to detect chimera sequences. The chimera sequences were removed to obtain the effective tags. Sequence analyses were performed using Uparse software (Uparse v7.0.1001). Sequences with ≥ 97% similarity were assigned to the same OTUs. The representative sequence for each OTU was screened for further annotation. For each representative sequence, the GreenGene Database was used based on an RDP classifier (Version 2.2) algorithm to annotate taxonomic information. 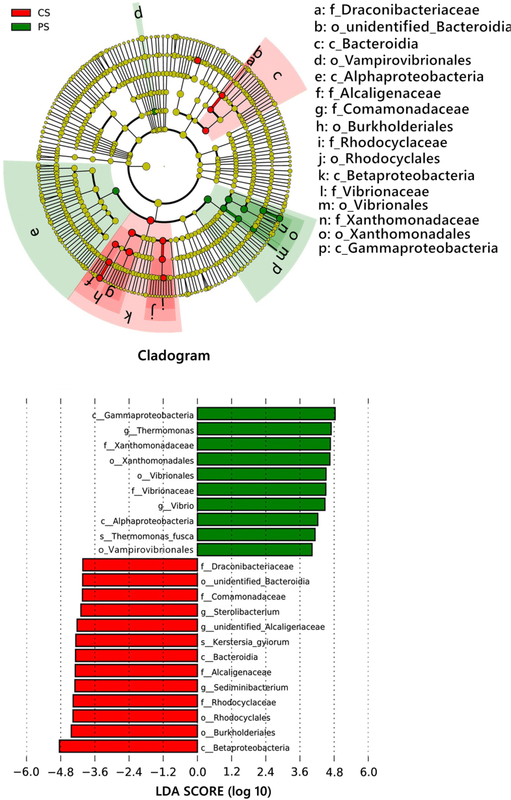 Alpha diversity indices (Chao1 and ACE) were applied to analyze bacterial diversity. All these indices were calculated with QIIME (Version 1.7.0) and displayed with boxplots drawn by R software (Version 2.15.3). With regard to the nutrients remove rate and the bacterial abundance, statistical significance was assessed by analysis of variance (ANOVA) followed by Fisher’s post hoc test using the IBM SPSS Statistics 21.0 program (IBM, Armonk, New York, USA); while, the statistical test used to compare the indices of microbial diversities was the Wilcoxon signed-rank test. A P value of less than 0.05 was considered as statistically significant. WZ, YG, and PG designed the project. YA coordinated the overall project. WZ and GF carried out the growth experiments, determination of lipid, protein and carbohydrate content and analysis of nutrient removal rate. WZ and JL performed high-throughput DNA sequencing. ZZ helped with data analysis. WZ and YG wrote the manuscript with input from all authors. All authors read and approved the final manuscript. The sequences used in this study were deposited in the NCBI GenBank Short Read Archive under the Accession Number SRP149469. This work was supported by financial support from the National Natural Science Foundation of China (Grant Numbers 31600419, 41571458 and 41471415) and the National Key Research and Development Program of China (2017YFD0800101). Additional file 1: Figure S1. The pH in piggery wastewater during the process of culturing C. pyrenoidosa. Data are presented as the means ± standard deviation of the mean. CA means sparging air, CC means sparging simulated flue gas, PA means culturing C. pyrenoidosa with sparging air, and PC means culturing C. pyrenoidosa with sparging simulated flue gas. Additional file 2: Table S1. The pH in piggery wastewater during the process of culturing C. pyrenoidosa. Data are presented as the means ± standard deviation of the mean. CA means sparging air, CC means sparging simulated flue gas, PA means culturing C. pyrenoidosa with sparging air, and PC means culturing C. pyrenoidosa with sparging simulated flue gas.